If you have hypertension (high blood pressure), your doctor will almost certainly recommend that you adopt a salt restriction diet. Limiting the amount of salt (sodium chloride) you eat can play an important role in reducing your blood pressure. The amount of sodium you consume in your diet plays an important role in controlling your blood pressure levels, and in maintaining the balance of fluids in your body. Nonetheless, most people can handle a very wide variation in the amount of dietary salt they consume — from very low levels to very high levels — without encountering significant problems. Some people, however, will experience substantially higher blood pressures, as well as more "stiffness" in their blood vessels, when they ingest more dietary salt than they need. These people are called "salt sensitive." A relatively large proportion of people diagnosed with high blood pressure seem to have salt sensitivity. What determines whether a person has salt sensitivity or not? The answer to this question is not entirely clear, but it appears to depend on several factors, including genetics, race (black individuals are more likely to be salt sensitive), body mass (overweight people have a higher incidence of salt sensitivity), the presence of metabolic syndrome (which is associated with salt sensitivity), and how much you exercise (exercise can reduce salt sensitivity). While no tests are readily available that can determine exactly who is and who is not salt sensitive, current recommendations are for virtually everyone with hypertension to be placed on a salt-restrictive diet. This recommendation is made for three reasons. First, if you have hypertension, the chances that you are salt sensitive are relatively high. Second, even if you are not particularly salt sensitive, there is likely to be at least some reduction in your blood pressure with a reduced-salt diet. And third, restricting the salt in your diet can make most anti-hypertensive medications more effective. The bottom line is that salt restriction makes it substantially easier for people with hypertension to achieve adequate blood pressure control. Read about the treatment of hypertension. For the three reasons just given, all the major expert panels which have weighed in on the matter recommend salt-restrictive diets for virtually people who have hypertension. Most experts also recommend similar salt restrictions to people who have prehypertension. When you’re trying to follow a salt restricted diet, you’ll find the experts talking about the sodium content of food, and not the salt content. This is because sodium is actually the component of salt that affects blood pressure. For this reason, food labels do not include salt content in their ingredients list, but instead the sodium content. Most of the published guidelines for treating hypertension recommend reducing dietary sodium down to no more than 100 meq/day. (44 meq of sodium equals one gram.) The typical American diet, in contrast, contains from the 150 to 200 meq/day. So for most people, restricting sodium to 100 meq amounts to a substantial reduction. Furthermore, since a lot of the salt we get each day comes from processed foods, public health experts (and others) are lobbying for government regulations that will restrict the amount of sodium used in food processing. Their aim is to substantially reduce salt intake across the entire population. While their hearts are in the right place, and while they can make a reasonable argument for wanting to accomplish this goal, quite a bit of controversy swirls around a widespread, federally-regulated policy of salt restriction for all people. Throw away your salt shaker; never add salt at the table. Check the labels of condiments and convenience foods, many of which are absolutely loaded with salt. In fact, check the labels of any processed foods you may eat - such as sauces, canned vegetables, and cereals - and look for low-sodium brands. Eat lots of fresh fruit and vegetables; among other benefits, the potassium contained in these food items helps to balance the effect of salt. Try not to cook with salt; if you must add salt, add it at the end of the cooking process (you'll use less). Read about the controversy over hypertension guidelines. Restricting dietary sodium, by limiting the salt in your diet, is strongly recommended by experts as a key to controlling hypertension. Applying salt restriction across the general population is also recommended by some, but this idea remains controversial. Looking to start a diet to better manage your high blood pressure? Our nutrition guide can help. McGuire S. Scientific Report of the 2015 Dietary Guidelines Advisory Committee. Washington, DC: US Departments of Agriculture and Health and Human Services, 2015. Adv Nutr 2016; 7:202. Graudal NA, Hubeck-Graudal T, Jurgens G. Effects Of Low Sodium Diet Versus High Sodium Diet On Blood Pressure, Renin, Aldosterone, Catecholamines, Cholesterol, And Triglyceride. Cochrane Database Syst Rev 2017; 4:CD004022. He FJ, MacGregor GA. Salt Reduction Lowers Cardiovascular Risk: Meta-Analysis Of Outcome Trials. Lancet 2011; 378:380. Kurtz TW, DiCarlo SE, Pravenec M, Morris RC Jr. The American Heart Association Scientific Statement on Salt Sensitivity Of Blood Pressure: Prompting Consideration Of Alternative Conceptual Frameworks For The Pathogenesis Of Salt Sensitivity? J Hypertens 2017; 35:2214. Is Catapres a Useful Treatment for Hypertension? How Can Eating Too Much Salt Impact Your Blood Pressure? How Do Calcium Channel Blockers Treat High Blood Pressure? How Can You Lower Your Salt Intake On a High Blood Pressure Diet? 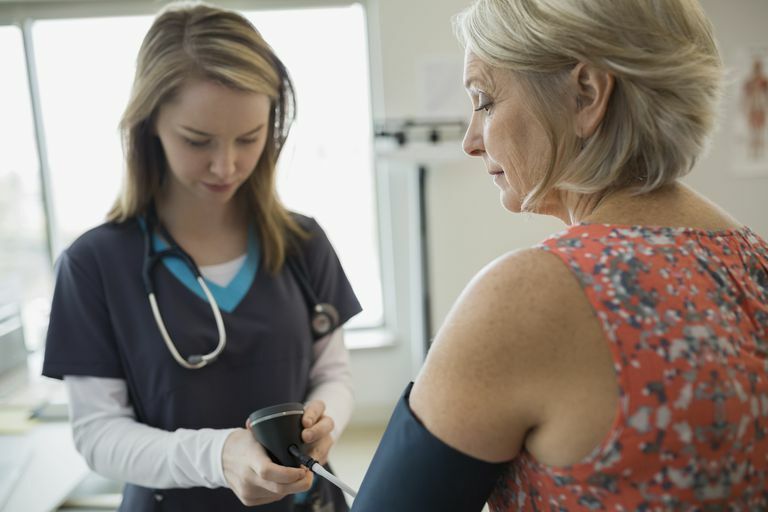 When Is Sodium Nitroprusside Needed for Blood Pressure Control?